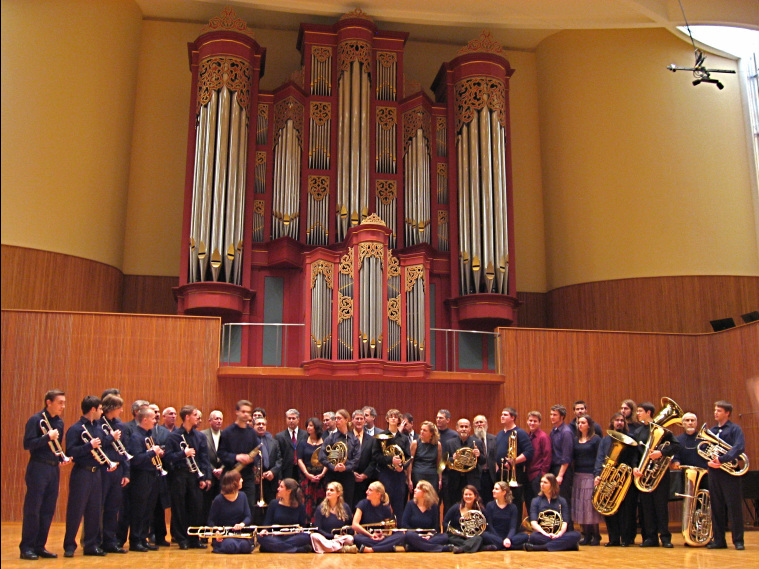 OBERLIN, OHIO - The Annapolis Brass Quintet, the first independent, full-time performing brass chamber ensemble in the United States, has donated its entire collection of published music scores and parts, music manuscripts, and related correspondence - more than 1,650 individual items - to the Oberlin Conservatory of Music. In announcing the gift, Dean of the Conservatory David H. Stull, himself a brass player, says.​ "This donation by the Annapolis Brass Quintet establishes at Oberlin one of the largest and certainly one of the most extensive brass chamber music collections in the United States. Our students in the brass department will now be able to access and engage not only a phenomenal range of works in the traditional canon, but also many works commissioned by the ensemble." ​Conservatory Dean Stull concludes, "The Annapolis Brass Quintet made an enormous contribution to the literature of brass chamber music, and Oberlin is honored to be the beneficiary of that tremendous work."